How many of us have scanned through the seemingly millions of articles about Photoshop and Photoshop Elements trying to decide which one is right for us? 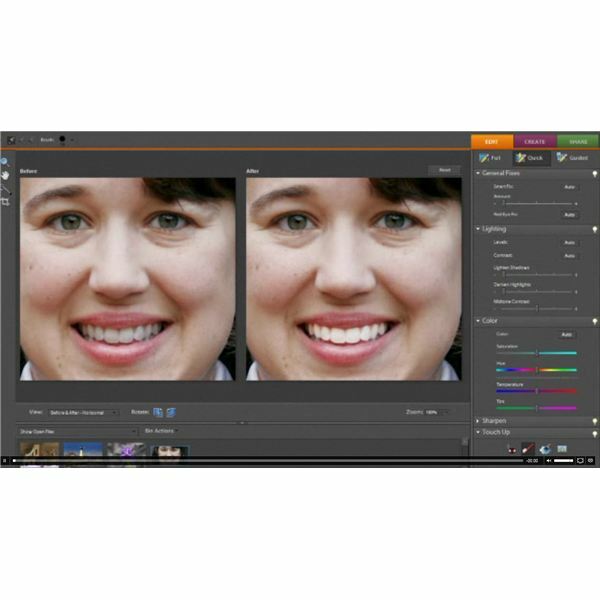 Adobe Photoshop makes both products, and each has its benefits. So, which is it: Photoshop vs. Photoshop Elements? Photoshop Elements is mainly for hobbyists and not professional photographers. If you only take photographs for the fun of it, then you probably just want an editing program that allows you to make simple edits to your image. Photoshop Elements has some of the full version’s features, including Layers. Layers are one of the most useful and commonly used tools used by both amateur and professional photographers. And, both Elements and Photoshop have these tools. But, Photoshop Elements does not have all the tools of the full version of Adobe Photoshop. Unlike Elements, Photoshop comes with advanced photo production looks, including being able to separate CMYK, and it can handle animation files. The major advantage of Photoshop over Elements may be its ability to handle extremely large files like RAW files. Many photographers don’t want to work with compressed images. They prefer their camera’s RAW settings. But, this results in extremely large files that can crash simple photo editors like Elements. Photoshop also has more filters and tools than Elements, including the Lens Blur filter and pen tool. Photoshop has more customizable features than Elements. You can custom menus and shortcuts, and you can create your own presets. You also have advanced features in Photoshop, including advanced web and color management. You also have more Layer options for advanced editing. While Photoshop has all of these features, it’s also harder to learn. The interface is not as intuitive as Photoshop Elements. So, if you are a bit computer illiterate, Photoshop may be more of a challenge than you are willing to take on. The fewer number of tools ensures that new users can quickly grasp how to edit their images. If you have never used any type of editing program, then Photoshop Elements is a good starter program. Once you outgrow it, you can upgrade to the full version of Photoshop. You can also use Photoshop Elements as a companion tool for quick edits. Both programs have their merit. Just because Elements has less features doesn’t mean that it’s a bad program. It’s actually quite good and useful. And, just because Photoshop has more tools doesn’t mean that it’s better. Try out both programs and figure out which one is best for you. You can try both programs for free by downloading them from the Adobe website.